How is it already the middle of December? I feel like it was just yesterday when I was working Thanksgiving. I do not know about you, but I was truly not prepared for my Christmas shopping this year. Surprisingly though, I did have a ton of Christmas accessories for work. I love adding touches of holiday decor to my uniform. Of course I make sure that it is not only work appropriate, but also safe for my patients and I. 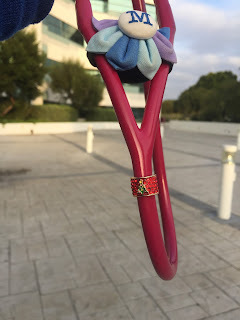 For example, there are some beautiful necklace accessories for Christmas, but none are built on a quick release necklace. 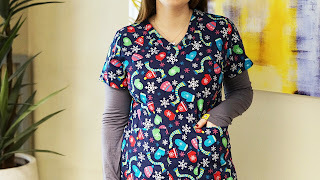 I do not work in a psych unit, but I have had confused patients who have pulled at my scrub tops or even my scope hanging around my neck. Therefor, I try and avoid anything that can be slightly dangerous. 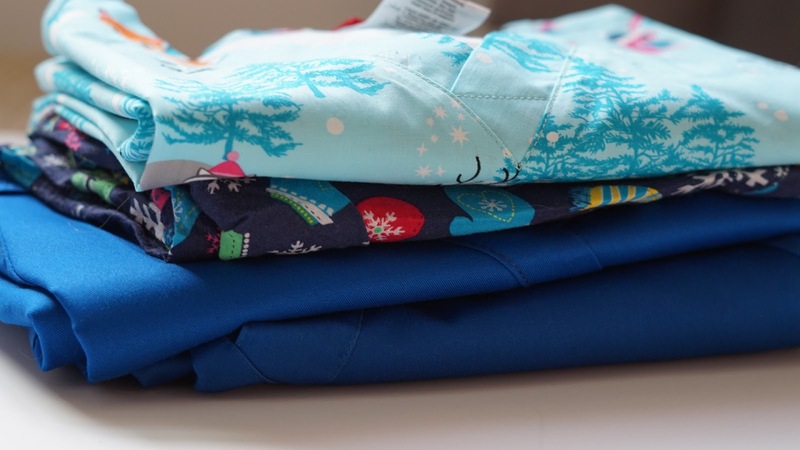 Scrub tops are the perfect way to be festive! Unfortunately, I do have a uniform at work and cannot wear them, so for now they will remain in my closet. 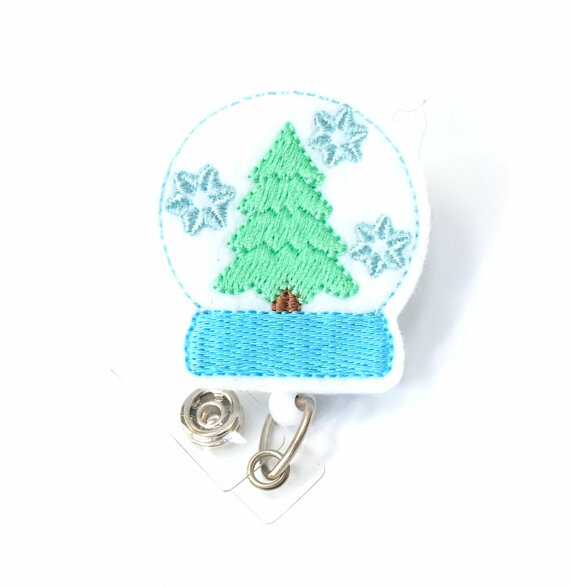 How adorable is this snow globe badge reel? It is from my favorite shop, BadgeBlooms! I stumbled across this company a little over a year ago and I already have six or seven charms from them. 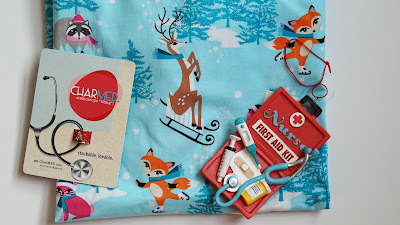 These charms easily snap onto the rubber tube of your stethoscope and, you can clean them just as you do your scope! What do you add to your work gear for the holidays?